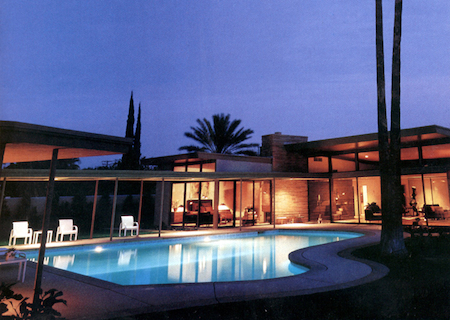 During Palm Springs Desert Resort Restaurant Week, Frank Sinatra's house isn't the coolest thing in Palm Springs! * Dine About Town San Francisco is in full swing in the Bay Area! Don’t miss two-course lunches for $17.95 and three-course dinners for $34.95 at terrific restaurants, such as Fish & Farm, Marlowe, Spruce, and waterbar. Make your reservations now! * Did you know June is Dining Month Portland? We did! Take advantage of three-course dinners for just $25 at this city’s coolest restaurants. Reserve today. * Palm Springs Desert Resorts Restaurant Week runs through June 12! Restaurants around this arid area are offering multi-course meals for $24 or $36. Book now — and tell ’em Sinatra sent you. * Don’t forget dear old Dad! Reserve now for Father’s Day! I’m in New York, so it looks my father will have some amazing options. * Put pen to paper and write an ode to your favorite restaurant for a chance to win a free Spotlight offer.